Contrast: The designer used contrast on the colors of the tomato. The pin tomato grabs people attention because it has bright colors and the background has soft colors. Repetition: The ad shows some color repetition. The icon “Followfish” on the top uses a blue color which is repeated on the images on the bottom. The designer also used the green color of the tomato leaves and put it on one of the images on the bottom. Alignment: The icon “Followfish” has been aligned with the main image on the bottom of the ad. The ad also has two of the three images at the bottom aligned. This alignment shows a symmetry on the ad. 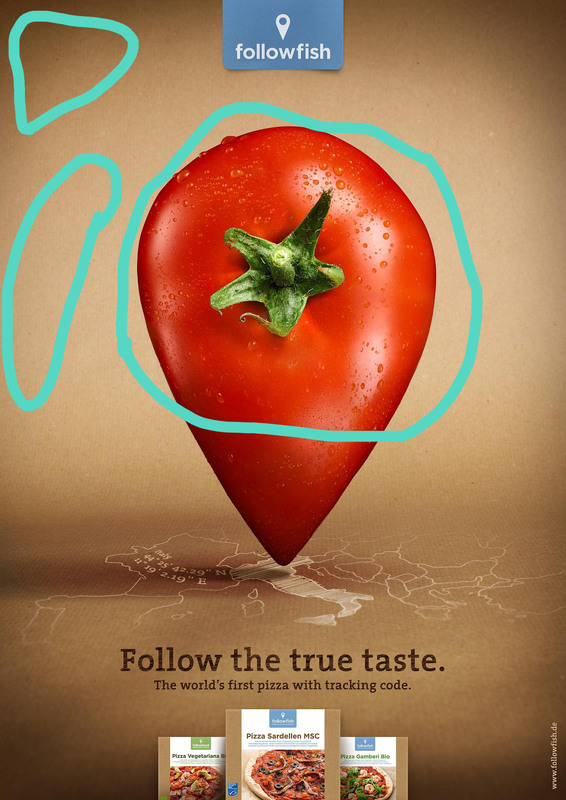 Proximity: At the end of the pin tomato there is a drawing of a map with some coordinates. 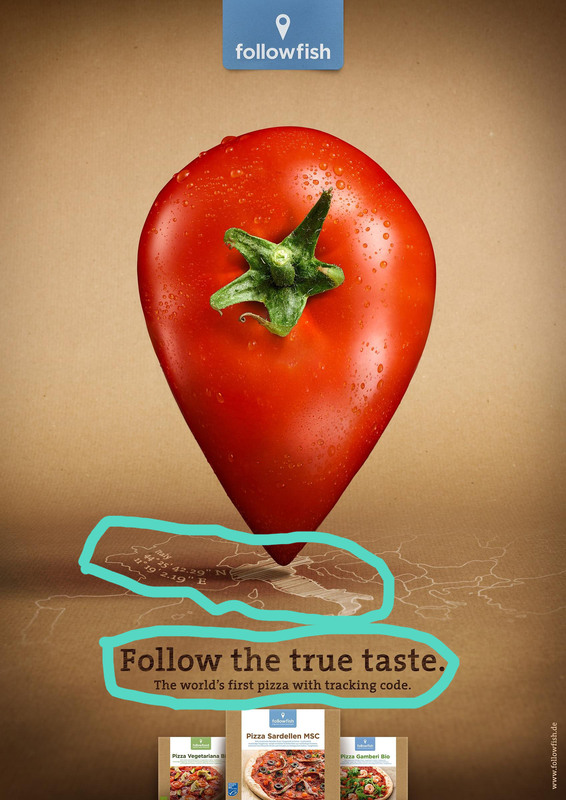 Right underneath it, there is a text saying: “Follow the true taste.” This proximity strengthens the idea the ad is trying to convey. Followish leads you to the right path for food. Color: This ad relies strongly on colors. It’s the way this specific ad draws attention. The main color is bright red which has been used for the tomato. The background uses a soft color which is even softer in the middle. Everything on this ad brings the attention to the middle. I really like this ad because it doesn’t show much to convey the message. The size of the tomato and the color is enough to catches people attention. The text is well place underneath of the tomato and the message is good enough to complement the ad.